June - The Most Dangerous Month for Deer Collisions | Hupy and Abraham, S.C. According the Wisconsin Department of Transportation (DOT), June is the most dangerous month for vehicle collisions with deer. Although October and November record a higher number of collisions, injuries and fatalities due to deer are greater in June than both months combined. 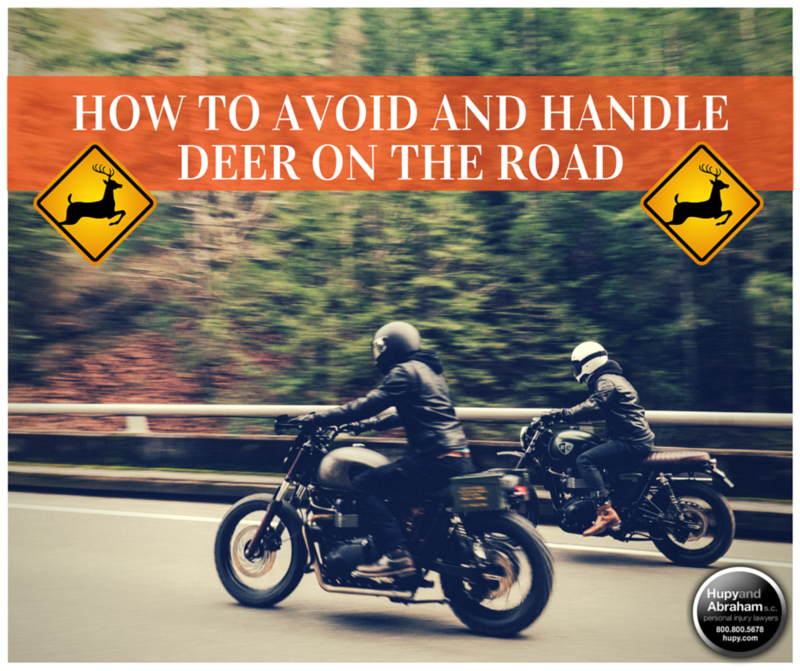 On average 70 percent or more of deer collision fatalities and injuries are motorcyclists, considering available reaction time is usually seconds or less, it's a good idea to learn what to do to avoid, or handle, a deer on the road. In spring, deer activity is high because does are searching for places to give birth, and yearlings are separating from their mothers. Regularly traveling in groups, deer are by far the most active at dawn and dusk, specifically between 5-8 a.m. and 5-11 p.m. According to the Skilled Motorcyclist Associate (SMA), over 90 percent of collisions happen during these times. DO NOT: Intentionally swerve. 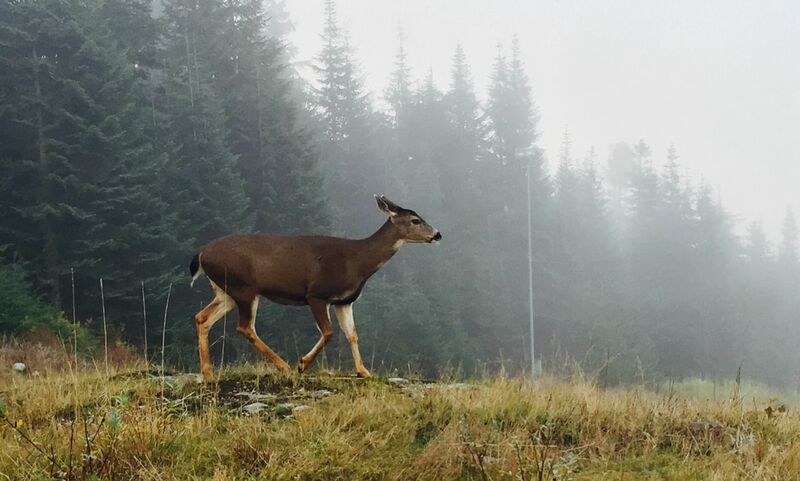 Deer will avoid danger in a random zigzag pattern. Swerving may just cause the deer to jump farther into your path, with the added challenge of your bike being off balance now. Swerving can also put you into the path of a worse hazard, like oncoming traffic or a tree. DO NOT: Speed up. We’ve all heard the stories of the guy that rode straight through a deer unharmed. This may happen at times, but the unpredictability of the animal and situation dictate it’s not a good rule of thumb. DO NOT: Try to help the deer, especially if it is on the road. Call the police. Hooves are sharp and a struggling animal can injure itself and you more. DO NOT: Be a hero. Adrenaline will likely mask any injuries and cloud judgment. Move carefully, and get help picking up your bike. If a rider is injured, DO NOT move them or remove their helmet if possible. DO: Brake hard in a straight line just up to the point of impact, then release. This will slow your speed as much as possible while still maintaining tire contact and useful momentum at the point of impact. DO: Wear protective gear. This means varying amounts for various people. But weigh the risks to find out what’s the best fit. 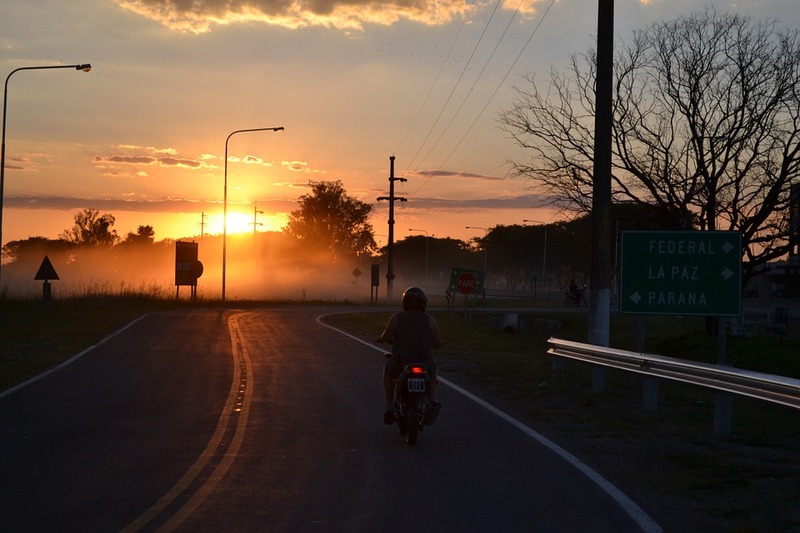 DO: Try to limit dusk and dawn riding. If you are out during these times be sure to never outride the projection capacity of your lights. DO: Use high-beams religiously and look into aftermarket lights. Not only will you be able to spot the reflection of the deer’s eyes sooner, their natural “freeze” response may keep them in position until you safely pass. Always still proceed with extreme caution. DO: Know the area. Hot muggy nights will drive deer out of the woods and valleys and into the road. Swamps and low areas like hill valleys are some of their favorite crossing spots. DO: Try to maintain control. Take a continuing-education course to practice emergency maneuvers. Hupy and Abraham has partnered with MotoVid Events to help create an "at speed" skills course, you can check it out here. In that split second, all you will likely have is muscle memory. Get some training, it could save your life. DO: Cover the brake in high risk areas. This will reduce reaction time. Practice different methods until you find what fits for you. DO: Ride staggered. A greater distance between riders will reduce the likelihood of multiple bikes going down. At Hupy and Abraham S.C., we are riders. We face the same fears and hazards when we swing a leg over the saddle, and we follow the same advice we give. For more information on riding safety and news, click here. Order your free “Watch For Motorcycles” sticker here to help spread the message, and ride safe.